Home transformations come in all shapes and sizes. However, homeowners pay too much attention to the inside details of their house, rather than the property as a whole. This is why many homes have a contradicting appeal when comparing the inside and outside. 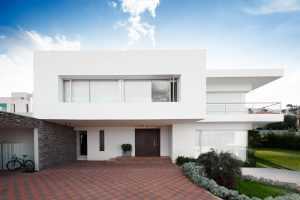 According to APEX Exteriors Inc, while it’s true that the inside of a home is what matters, how a house looks like at a glance is what actually adds value. If you’re not looking to make your home a family heritage any time soon, it’s a good idea to invest in how it looks from outside. Here are some stone siding designs that can definitely pull the trick with minimum investment and build times. For hundreds–even thousands–of years, many homeowners built their houses with stone materials. Aside from looking good, a solid stone siding can also improve the strength and durability of a home. There are several stone materials to choose from, starting from naturally occurring stone and rocks to customized ones. This type of stone siding has the same benefits as any solid stone, but with added effect. Depending on your preference, you can freely choose the shape and design of the stone. Cultured stone manufacturers use molds to fit your style, and they can also color the stone based on your requirement. Stone sidings are often heavy, so not every home can support it. For homes with light foundation and structures, it’s better to use polyurethane-based stone sidings. This siding appears stone-like from all angles, but you can feel the difference when you touch it. Also, polyurethane materials are weatherproof so it can protect your home just like the real thing. Home design shouldn’t exclude any part of the building. Both the inside and the outside of the home should have practical and aesthetic value.